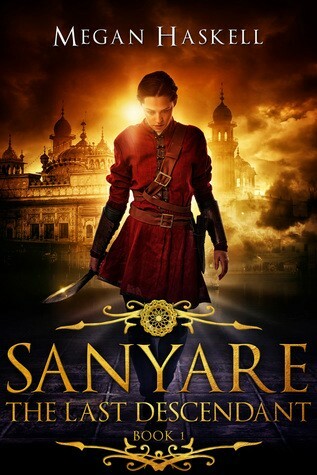 The “Sanyare Chronicles”, authored by Megan Haskell, is an ongoing fantasy series. This review will focus on the four books written so far. These are — ‘Pixie Tamer’ (a novella prequel), ‘The Last Descendant’, ‘The Heir Apparent’ and ‘The Last Apprentice’. The ‘Sanyare Chroncles’ is the story of ‘Rie’, a human, who grows up with the fae. Rie, a changling, grows up with the High Elves where she has to struggle to be respected and recognized. The books chronicle her adventures from the time she is a young adult. I went into this series without knowing anything about it or the author. The high ratings on Goodreads encouraged me to start reading ‘Pixie Tamer’ which turned out to be quite good. The rest of the books follow this trend. While I would not rate this series as excellent, it is a cut above the rest of the usual young adult fantasy fare. The ‘Sanyare Chronicles’ is definitely worth a read. I would put it on par with other series like ‘October Daye’ or ‘Mercy Thompson’ (while not being as annoying). The stand-out feature in ‘Sanyare Chronicles’ is its world building. Megan Haskell has created a complex and unique twist on the fae mythology, that I won’t spoil in the review. While the fae share a few elements (long age, magic etc. ), they are also divided by their beliefs, skills and proclivities. In addition, there are also native inhabitants of the various realms the fae live in. There is a decent amount of power politics which makes some alliances fluid and not straightforward. Megan Haskell’s writing makes a big difference and is the other reason why these books are good. The books have a decent pacing and the plot is standard for this genre. The characters develop over the series. They have believable motivations driving them. This elevates the series from a run of the mill ‘ugly duckling’ storyline to something unique to enjoy.